Not so long ago my wife and I decided to go on a holiday interstate. 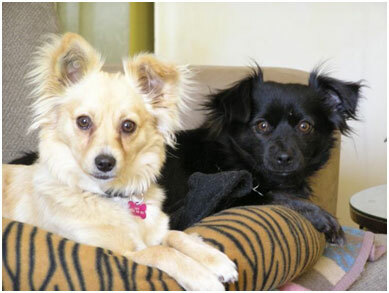 We have 2 dogs, Lily and Jesse, and they are very happy healthy dogs. We booked them into a kennel and went on our holiday. When we returned home we picked the dogs up from the kennel and brought them home. After being home for a while we noticed that they seem to both have a terrible cough. We realised later that they had contracted Kennel Cough. 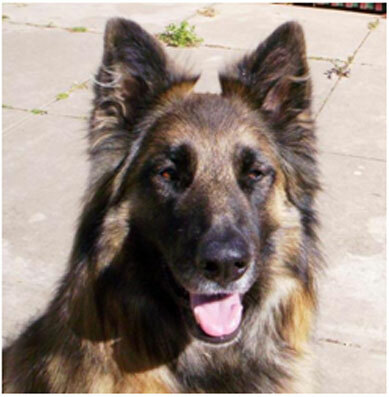 I immediately gave both dogs Transfer Factor Classic and within days the Kennel Cough had disappeared. I was so impressed that I now give both dogs transfer factors every day, as I know it strengthens their immune systems and keeps them well. I also take Transfer Factor daily and when Lily and Jesse hear the container they come running and sit and wait for their capsules. All I do is hold them out in my hand, one for each and they gobble them up quickly. I am sure they think its a treat. I highly recommend transfer factors to any owners of dogs as I know it works. 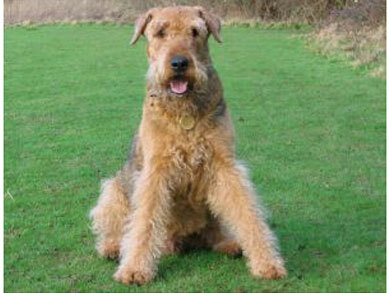 My dog is a 30gk Airedale Terrier called Mandrake and he was very sick with Immune Mediated Hemolytic Anemia. I contacted Christine Mulligan from Immune Health Supplements and ordered 2 bottles of Transfer Factor Classic. Since giving him the Transfer Factor Classic he has started to improve. We took him to the vet and his last blood test came back at the lower edge of normal which I must say is a huge improvement. We were greatly relieved as it looked as though we were going to lose him. I will continue to keep him on the Transfer Factor Classic as I know it will improve his immune system and give him the protection he needs. Kaiser is my 6-year-old long-haired German Shepherd who I rescued from a shelter many years ago. I noticed that there was something wrong with Kaiser when he started losing all the pigmentation from his lips and gums; he became lethargic; depressed, and his coat became brittle and dry. I suddenly realised that he was being over-vaccinated with his yearly boosters which were attacking his immune system. Anyway, I decided to give him Transfer Factor Plus to assist his immune system to recover, and as of now, most of the pigmentation has grown back, his coat is excellent, and he is happy and energetic. Kaiser is now my big cuddly boy again. I also appreciate the fact that Christine is a distributor in South Australia, who always provides prompt delivery when sending the Transfer Factor Plus to me. I have read Christine’s story and it certainly proves to me what an amazing product transfer factor is. I highly recommend this product to all my friends. As a physician of nearly thirty years, I was well aware that no antibiotic would protect against the ravages of viral disease, particularly canine distemper which shows similarities to HIV. My seven month old white haired Sheppard was adopted from a local shelter and was initially joyful and healthy. Within three weeks he developed coarse bronchitis with heavy mucus drainage of the nose and eyes. Our well intentioned vet believed the problem to be Kennel Cough and started him on antibiotics. Over the next ten days Romeo failed to improve, but instead experienced seven hard and long grand mall seizures in one weekend, a partial paralysis of the hind quarters which made him fall flat when attempting to walk and a “spaced-out gaze” of non-recognition. Blood studies confirmed distemper and showed a white cell count (lymphocytes) of only 264 slightly more than ten percent of normal. Our vet, an expert in distemper, was very sympathetic and advised me to prepare myself to euthanize Romeo. The heartache was compounded when Chico, my thirteen month old Chihuahua developed similar symptoms of hard coughing and heavy mucus drainage from the eyes. Reviewing his shot record, I learned he was mistakenly given only one distemper immunization, leaving him inadequately protected; and by licking Romeo’s mucus and drinking from his water dish had contracted the infection. Knowing little to nothing about canine distemper, I turned to the internet and luckily stumbled onto transfer factors, a preparation which enhances and stimulates the body’s own immune system to fight against all pathogens, viral or otherwise. My thirty years in medicine told me this was the only solution. I hurriedly became a distributor to get the product and started Chico and Romeo on one cap daily encased in one teaspoonful of raw hamburger. Over the next two weeks all cough and mucus drainage ceased. Romeo’s follow-up blood count had risen to normal range at 2217 and he surprised the whole family by jumping a five foot wall. He romps and plays all day long with Chico, now responds normally to his name, and appears to be his old joyful self again. Having witnessed the recoveries of Chico and Romeo, and after further study, all family members are taking transfer factors, one cap daily; our insurance policy to protect against a faltering immune system, the inevitable consequence of aging and exposure to environmental pollution and toxins. As for my distributorship status, I fully intend to spread the word to all my colleagues and good friends. Dr. Baruch Rosen, M.D. NOTE: Dr. Rosen is also using transfer factors for Parvo and other viral or infectious condition with excellent results. By Dr. Baruch Rosen, M.D.